I love the holidays because of parties, friends and of course appetizers. I find cheese so irresistible. 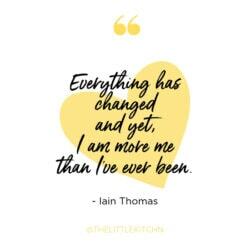 Don’t you? I love having friends and family over and sharing new recipes with them. The ultimate fun in entertaining is getting together and enjoying food TOGETHER. Pretty much every time we entertain, cheese is involved. Are you that way too? 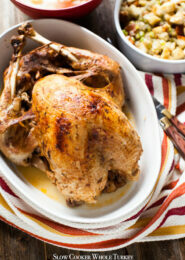 I was so thrilled when Président Cheese approached me to create a recipe for the holidays. I love their brie, camembert and roquefort cheeses so it was a natural yes for me! For this project, I got to try products that are new as well as new to me! 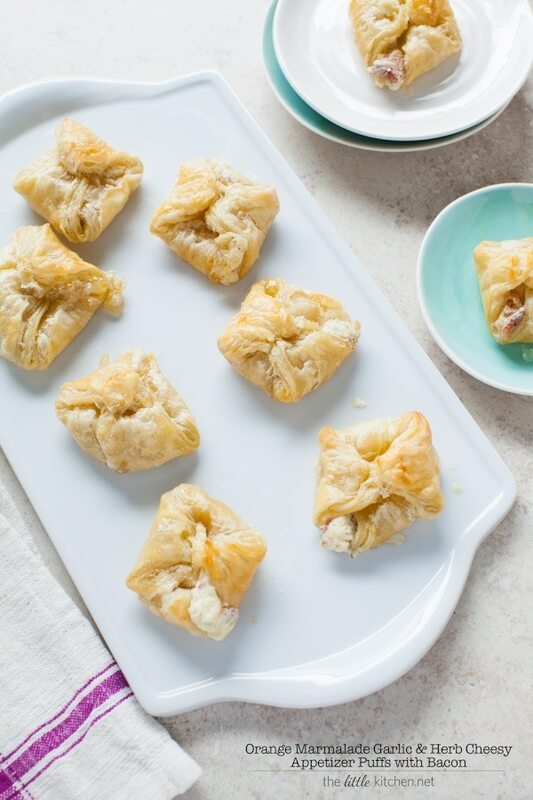 Not only am I obsessed with cheese (all things cheese), I love making appetizers with puff pastry so that’s kind of how I started. 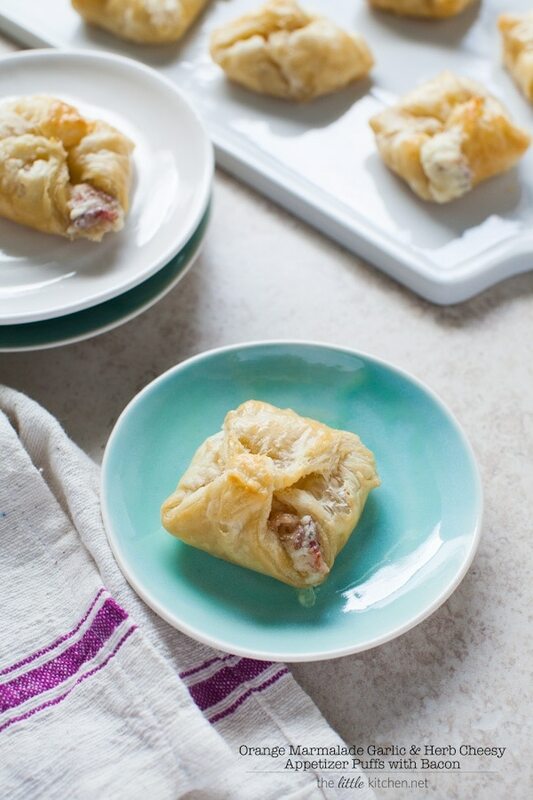 I made these fun little appetizers four times…no joke. The first time, I didn’t make them into little puffs (they look like pillows to me) and it was a total fail but still tasted good! 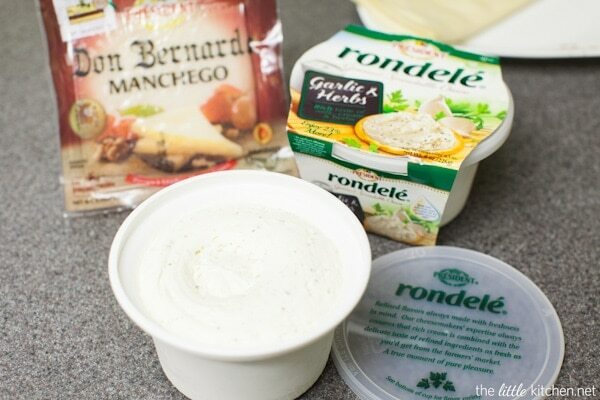 The Rondelé Garlic and Herbs spreadable cheese is heavenly. I put them on crackers and and pita and couldn’t stop eating them. I knew I had to use it in a recipe! And the manchego cheese, I’m a huge fan of. The other night, we had grilled cheeses and I used a little manchego cheese in it and it was perfect! 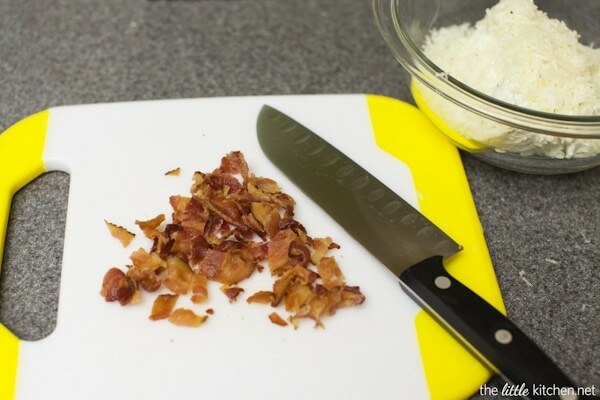 I chop up the bacon but not so they are bits, you want to be able to see it and taste it in these appetizers! 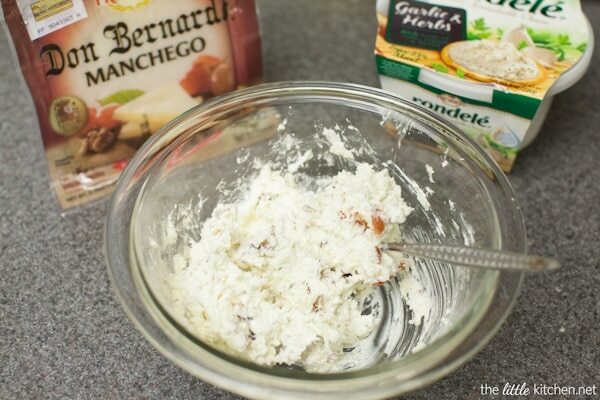 Mix up the cheeses and the bacon, this literally takes seconds. 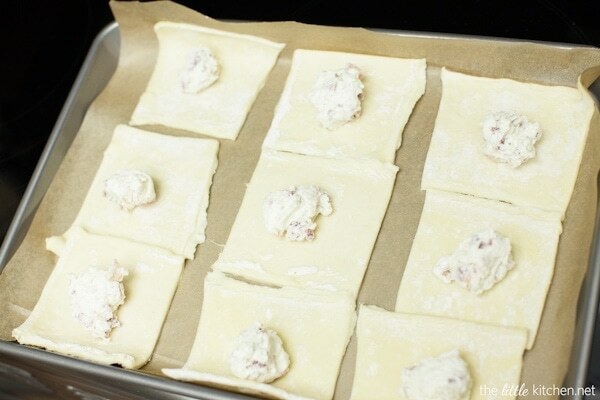 Cut each sheet of puff pastry into 9 squares after unfolding them. 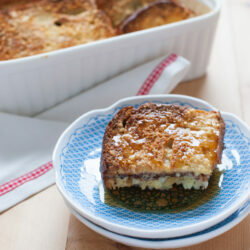 Add 1/2 tablespoon of the cheese mixture to the middle of each square. Then, add 1/2 teaspoon orange marmalade on top of the cheese. 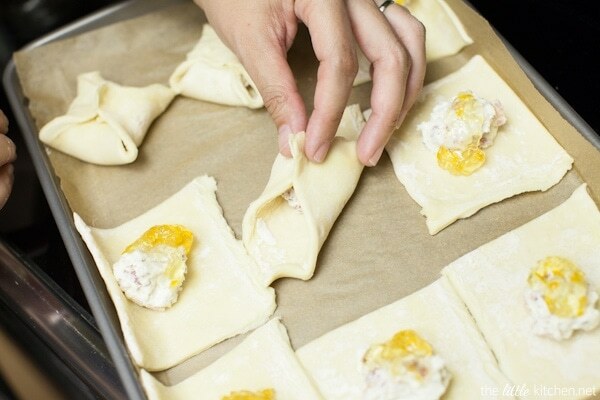 Fold up the opposite corners and and pinch and fold so they are tight. Then, do the same thing with the other opposite corners. Don’t they look like little pillows? 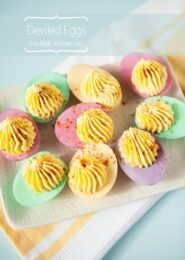 Brush the tops with an egg wash.
And bake for 17 to 18 minutes and you’re golden. These are so easy to put together and I’ll bet you can’t stop at just one! I just love the combination of the spreadable cheese with the Manchego, bacon and orange marmalade. I know you might be thinking, orange marmalade? Really? Marmalades go really well with cheese and this is no different. 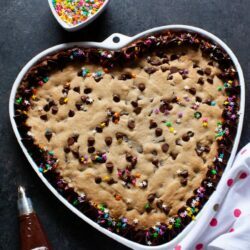 I’m telling you, I know you’ll love these if you make them!! 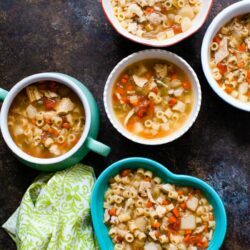 If you’d like to enter to win $50 worth of your own Président cheese, visit ArtOfCheese.com, where you can download a coupon and enter the Pinterest sweepstakes, plus find more holiday recipes and product information. 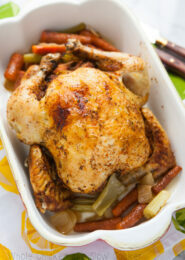 Line two large baking sheets with parchment paper. Heat oven to 400 degrees F.
Mix half of a container of Rondelé Garlic & Herbs with 1/3 cup shredded Président Manchego cheese and chopped bacon in a small mixing bowl. Set aside. In a small prep bowl, beat 1 egg and add 1 tablespoon cold water and mix. 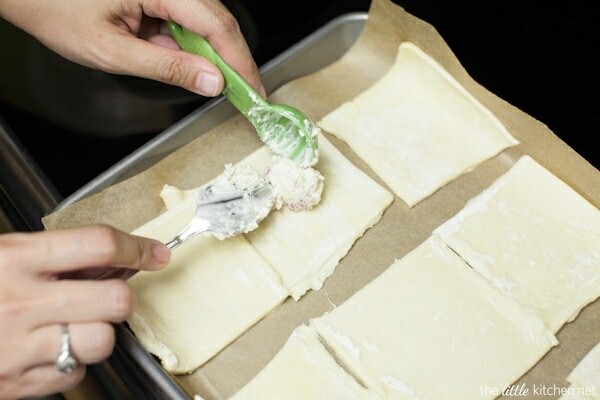 Take the thawed puff pastry sheet and place on a clean surface, such as a cutting board. Unfold and cut into nine squares. 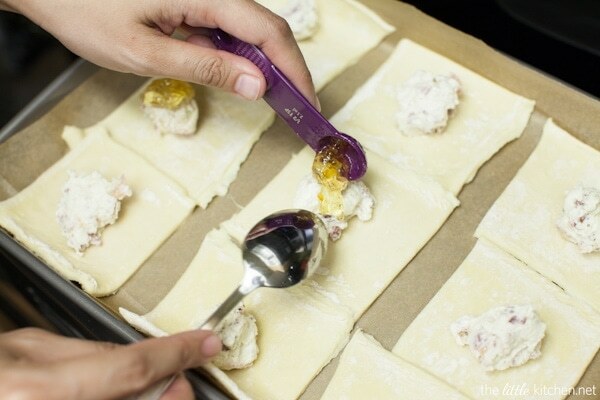 Add 1/2 tablespoon cheese mixture and 1/2 teaspoon of marmalade to the middle of each square. For each square, fold up the opposite corners to meet and then fold over once and pinch, take the other two opposite corners and do the same thing. Repeat for each square. 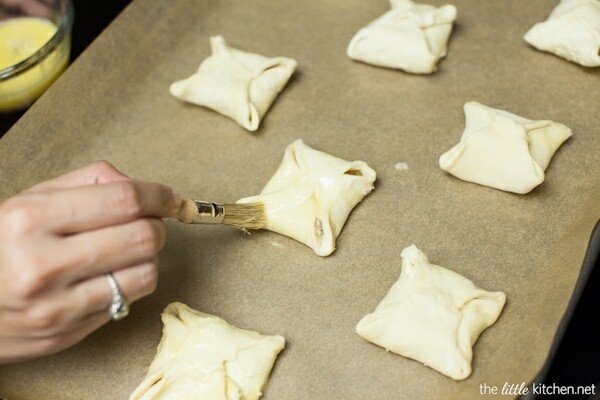 To make the remaining puffs, do repeat steps 3 and 4 for the other puff pastry sheet. 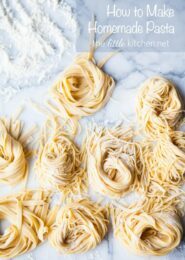 Brush puffs with egg wash and bake for 17 to 18 minutes at 400 degrees F. If any, puffs open up, carefully pinch the corners closed. Allow to cool for a few minutes before serving. Disclosure: This is a sponsored post, sponsored by Lactalis. All opinions are my own and I only share with you and work with brands that I love. 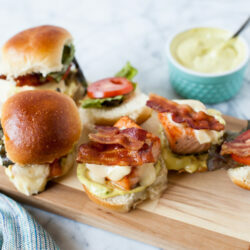 These sound perfect for a get together! I’m so intrigued by the flavor combo with the addition of orange marmalade. 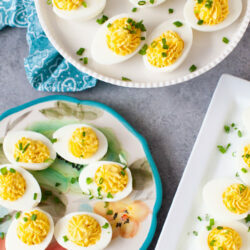 Oh man, this is such a fabulous looking appetizer! 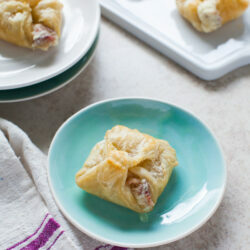 Puff pastry is my weakness. The little pillow shapes are so cute! 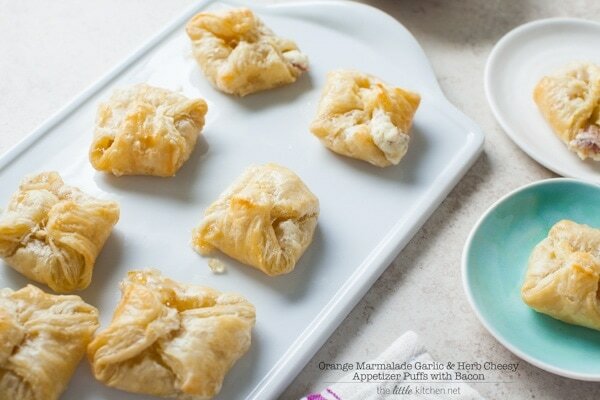 I never would have thought of orange marmalade in savouries, guess I’m thinking too small! 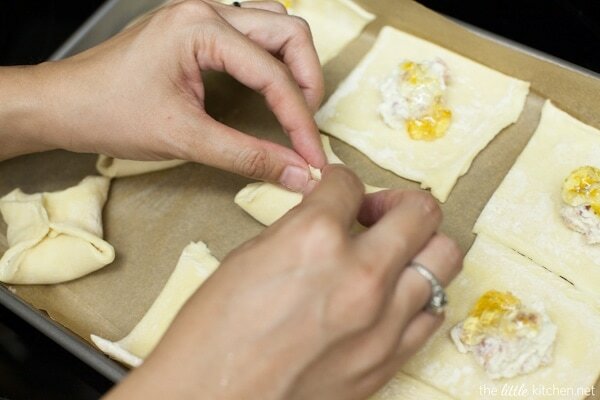 I love Marmalade & Puff Pastry so so much! 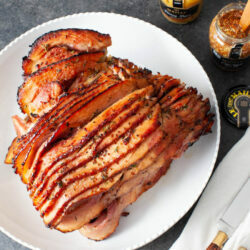 I really want to try this for Thanksgiving. Great post! These look like they would be totally addicting. Sounds like a great combination! I love Manchego cheese! 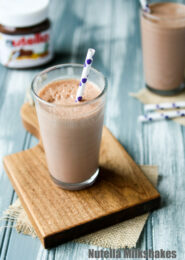 Oh goodness, these look so addicting! Love these flavors! I would have voted for these at the Bake-Off!